While hydroponic farming has been around since the Middle Ages, many developments over the years have made it far more efficient and affordable. Prof Gert Venter explains. In this hydroponic system in Spain, lettuces are grown in plastic troughs without any soil, substrate or other material around their roots. The nutrient solution is recirculated to eliminate drainage loss and seepage of nutrients into the soil, and to reduce the cost of fertiliser. Hydroponics is not a new concept. It preceded the earliest tillage practices on farms, and plants have been grown in lakes and oceans from time immemorial. “To develop, plants need mineral elements that they absorb from the soil by means of water. Without water, the plants do not survive, even if the soil has the mineral elements they need. Water is as if it were the soul of plants, as minerals are as if they were the soul of soil. If we could transmit to the soul of plants [the water], the strength of the soul of soil [the minerals], perhaps we would not need it [the soil] to make plants survive and multiply. Hydroponics, as we know it, developed slowly since the Middle Ages until water culture became a favourite research technique during the 17th century, after the posthumous publication of a book on the subject by the scientist and philosopher, Francis Bacon. In 1699, researchers found that plants grew better in water that was less pure than in distilled water. By 1842, a list of nine elements believed to be essential for plant growth had been compiled, and this resulted in the development of soilless cultivation techniques. Solution culture then quickly became a standard research and teaching technology and is still widely used today. In the 19th century, scientists showed renewed interest in the nutrient requirements of plants. Complete nutrient solutions were developed over time, but it was only in the 1920s that Prof WF Gericke of the University of California in the US began to focus on commercial plant production using dissolved nutrient solutions instead of soil. He coined the name ‘hydroponics’ by combining two Greek words, hydros (water) and ponos (work). At the time, greenhouse growers replaced their greenhouse soil at frequent intervals, or maintained it by adding large quantities of commercial fertilisers. 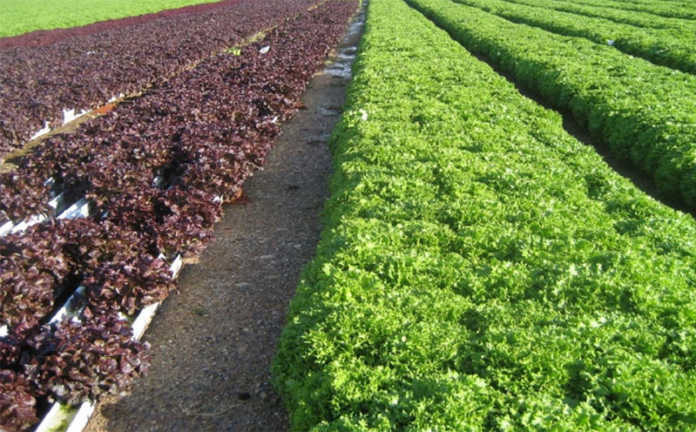 To solve this difficulty, researchers replaced natural soil systems with either aerated nutrient solutions or artificial soil, called substrates, consisting of chemically inert aggregates, moistened with nutrient solutions. Between 1925 and 1935, extensive development took place in modifying plant physiologists’ methods for large-scale crop production, but hydroponics was not widely accepted due to the high cost of constructing concrete growing beds. During the Second World War, the US army started using hydroponics to produce food for troops stationed on islands in the South Atlantic and the Pacific, due to the prohibitive cost of transportation. After the war, interest in hydroponics boomed when gravel culture hydroponics was used to grow tomatoes, cucumbers and other vegetables. However, these systems had shortcomings and many were eventually abandoned. 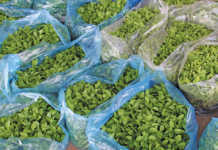 In the 1950s, the arrival of plastic sheeting as covering material caused a renewal of interest in hydroponics. The plastic replaced expensive glass and allowed for lighter, lower-cost structures for controlled environment agriculture (CEA) operations. Plastic-covered greenhouses and tunnels became popular around the world, and this trend continues today. Plastic row covers and troughs replaced the more expensive concrete growing beds of the past, while plastic pipes, drip irrigation, low-cost filters, and plastic reservoirs, among others, were also introduced. Numerous schemes promoting hydroponics appeared, leading to large-scale investment in hydroponic growing systems. Today, hydroponic systems consist of sophisticated, eco-friendly energy and water efficient designs, offering new possibilities for crop yield and quality. 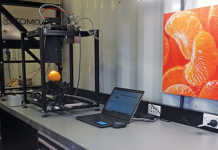 Some of the new applications include urban and vertical farming, solar and seawater greenhouses using seawater for food production, and even production of food in outer space. Most people believe that a greenhouse is necessary for hydroponic crop production, but many of the traditional hydroponic plant species can be grown in the open without tunnels or any other form of protection, depending on climate, plant species and other factors. – Aeroponics: plants grow with their roots suspended in air. Nutrients are supplied by regular moistening of the root zones with nutrient solutions using misters, foggers or pulsating systems, which allow for excellent aeration and oxygen supply for the development of healthy root systems. – Aquaponics: aquaculture, typically fish farming with tilapia or other aquatic animals, is combined with hydroponics. Fish manure supplies the nutrients for the plants which, in turn, help purify the water in a fully enclosed circulatory system. Rooftop farming on multi-storey buildings: Few buildings are designed to carry heavy loads of soil for crop production. Recirculating hydroponics, aeroponics and even aquaponics, being considerably lighter, are better suited to these applications. 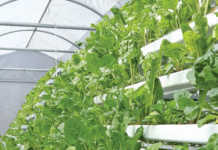 Vertical farming: Grey water from specially designed buildings is used after being sterilised to supply the bulk of the nutrients required by the plants. Evaporation and transpiration from the plants provide moisture to humidify the air. The moisture in the air can easily be collected through distillation to supplement irrigation and drinking water, reduce heat loads in the building, and clean the air. Climate control and air purification in high-rise buildings: Hydroponic and aeroponic systems are now used to clean the air, control humidity, cool the building, remove carbon dioxide, and supply oxygen to create a healthier working environment. Seawater greenhouses: These enable producers to grow plants and supply purified water and gourmet salt with minimal energy inputs. – Sustainable biofuel can be produced from living biomass rather than organisms fossilised millions of years ago. Email Prof Gert Venter at [email protected].